As China casts off the mantle of communism, capitalism has filled the economic void; but what about the spiritual one? As a multiplicity of religions flourish we find out why the state is so concerned. A head pokes around a golden pillar and then draws back quickly, hoping to stay out of sight. As two men drive off an unmarked police car pulls out to follow. But this surveillance operation isn't for terrorists; it's for journalists trying to speak to Christians. But why? All over China religion is on the rise and the government is happy to support it; The government has helped us build this church", says Pastor Joesph Gu, leader of one of the state accepted churches. Another pastor says that the government have been desperate to get him to register his church. So far he has refused because of restrictions on what you can preach, "If something is against our faith, we don't obey". And so his congregation is constantly stalked by secret police. He's not the only one, "Between 1994 and 1997 I was imprisoned because of my beliefs", Pastor Zheng tell us. Religion not endorsed by the state seems to be the problem. 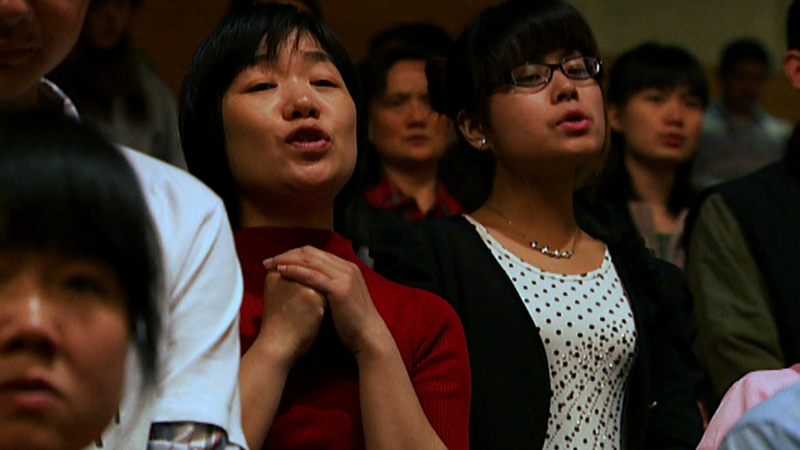 It appears that the Chinese state cannot accept the idea that many of their citizens follow the word of God above the word of the Party.